It was a sad day for the Tavy Tars at the beginning of April when Peter left Bere Ferrers for good, moving up country to be nearer family. Peter was an original member of the crew, and he will be sorely missed. But the good news is that he will be joining us at the end of May for the Gloucester Shanty Festival – we’re looking forward to that. Knowing that Peter was on the move, a new Tar has been recruited. Doug joined us in December, and has impressed us with his enthusiasm, his rich voice, and his ability to learn words in a few short months that have taken years for the rest of us to memorise! He's also brought our average age down a bit too! 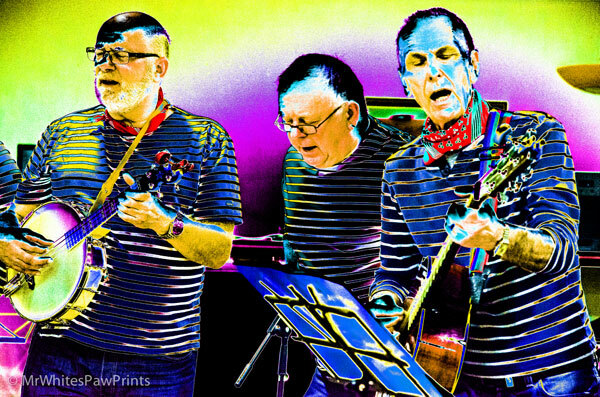 The dark days of winter were fairly quiet for us, but we enjoyed a few gigs as well as regular appearances at the Olde Plough. However the Spring has brought a flurry of activities – we have performed in Princetown, Yelverton, Bere Alston and Tavistock in the last three weeks and will be at the Plymouth Pirate Festival on 14 May. Check out the events diary in the sidebar. 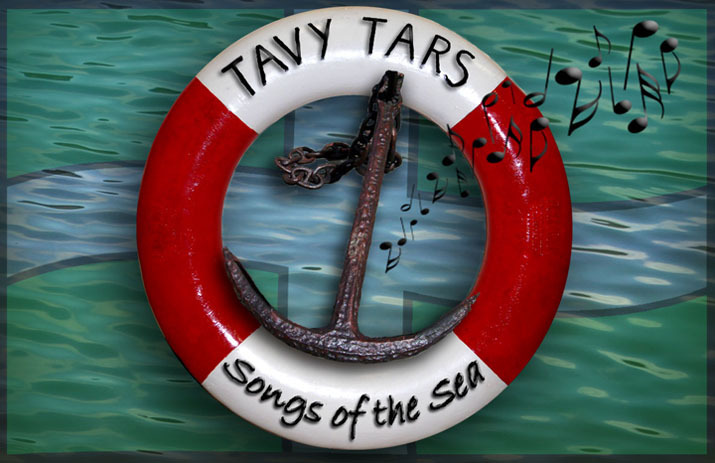 We were part of the Tavistock Music and Arts Festival on 21st April – an evening at the Tavy Club entitled Tavy Tars and Friends. What a cracking night it was, with Andy Ancrum, Mike and Tilly, and Gipsy Train joining us. Watch out for it in the Tavistock Music and Arts Festival brochure next year! Tavistock Camera Club were out in force for an 'altered images' competition at the festival. Thanks to Dianne Giles for these photos.